Fashion has been old-fashioned for quite a while now. With exceptions of course, every now and then designers seem to remember the '40s, '50s, '60s, '70s, '80s... It offers a kind of safety, I suppose, to present clothes that remind us of something, which is perfectly OK -don't get me wrong here. I'm just saying that revolutionary things could easily be deemed 'non-wearable', and thus whole collections could go either wasted, or straight in a museum. But now the waters seem to be moving. 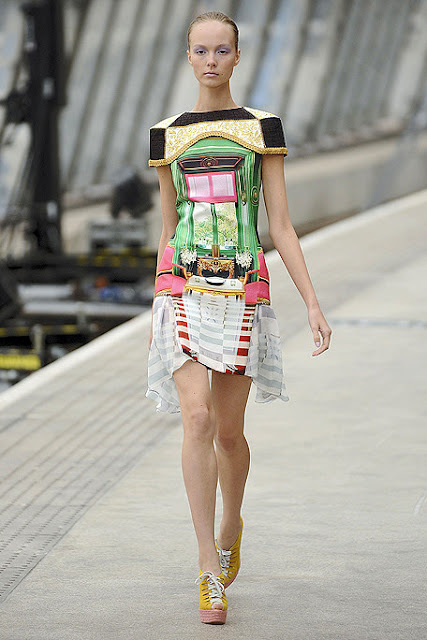 And the person who is largely responsible for that is London-based, Greek-born Mary Katrantzou. Mary attended Rhode Island School of Design and then completed both her BA and MA at Central Saint Martins. She has previously worked for Sophia Kokosalaki and freelanced for Bill Blass, amongst other designers. Since 2008 she has been doing shows and taking part in Fashion Week. So how exactly is her work different? 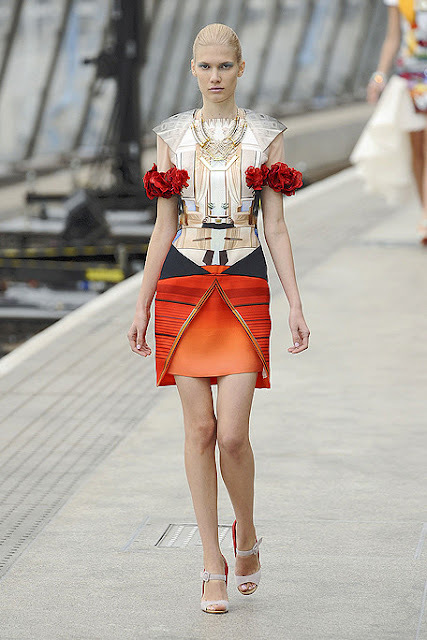 As you must have realized by now, I could kill for a Mary Katrantzou... I found many pieces at Polyvore. And her collaboration with Topshop this February is also a fact!!! So... could I please hope for many many sales at my Etsy shop????? Oh wow! I adore Mary's creations! Love the fabric designs! Who wouldn't love having one of these in their closet! THeika! i wish you treles poliseis sto etsy! I've seen some of them before, but not all these! It's enough to make you dizzy! This is fashion design for sure! If only i could afford one of them!